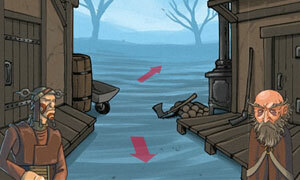 Hood Episode 3 is another point & click, escape game by newgrounds. Good luck and have fun. The game is not suitable for young players.